Solomon’s Basin and “Pi” — A Bible Error? This alleged mistake is a classic example of the desperation of those who, for their own base motives, wish to discredit the Scriptures. The effort is futile. No contradiction or error can be charged against the biblical text unless all relevant facts are known. And all facts are not known in this instance. For example, it is not certain whether the diameter of this “sea of brass” was based upon the inside dimensions of the basin, or the outside. The thickness of the vessel was a “handbreath” (1 Kgs. 7:26) — approximately three and one-half inches. It appears that the top of the basin was fashioned with a “brim” (1 Kgs. 7:24) that turned outward, which perhaps reflected the fifteen feet. The inner diameter was less, in which case there could have been absolute mathematical orthodoxy. While this explanation is possible, there really is no reason to expect, or demand, a mathematically precise formula. It is common in literature to employ rounded numbers, i.e., a definite figure to represent a general number, in providing descriptions. This procedure is utilized frequently in the Bible without hesitation or apology. When Israel was preparing to enter Canaan, the bulk of the nation was to remain “about two thousand cubits” away from the ark of the covenant (Josh. 3:4). On the day of Pentecost, “about three thousand souls” constituted the church (Acts 2:41; cf. Acts 4:4). The children of Israel were in the wilderness of Sinai “about forty years” (Acts 13:18). The biblical writers were not under moral obligation to cite precise measurements in terms of feet, inches, and fractions thereof. If someone were to ask the skeptic (who framed the objection posed above) to state the length of a day, would he reply “twenty-four hours,” or would he be compelled to specify — twenty-three hours, fifty-six minutes, and 4.09054 seconds (the actual measurement)? 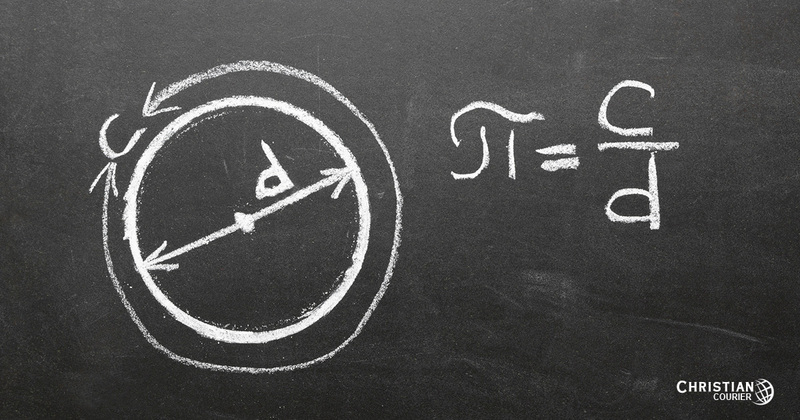 In fact, our critic stated that pi is 3.1415, whereas not even he was precise. Pi actually is 3.14159265+ (i.e., indefinitely imprecise). It is hardly consistent, therefore, to frame an imprecise objection against the Bible’s alleged imprecision! While we are dealing with the temple’s “brazen sea” (cf. 1 Chron. 18:8), we might as well address another alleged discrepancy. In 1 Kings 7:26 it is stated that the basin held “two thousand baths,” while in 2 Chronicles 4:5 the volume is given at “three thousand baths.” Again, though, the problem is not insurmountable. It is possible that the lower figure represented the amount of water normally contained in the vessel, while the latter affirmed the potential full capacity. The figures would thus would be employed in different senses. J. Barton Payne thinks that the difference can be explained on the basis of a scribal error in the Chronicles text (453). Another possibility is that the record of Chronicles, which is from the post-Babylonian captivity period, may have employed a different standard of measurement for the cubit or bath than did the earlier record (Goldsworthy, 318). Multiple interpretative possibilities do not accommodate a “contradiction” allegation! Is There a Bible Contradiction Regarding Ahaziah’s Age? Goldsworthy, G. 1975. Zondervan Pictorial Encyclopedia of the Bible. Tenney/Barabas, Eds. Vol. V. Grand Rapids, MI: Zondervan. Payne, J. Barton. 1988. The Expositor’s Bible Commentary. F. Gaebelein, Ed. Vol. IV. Grand Rapids, MI: Zondervan.